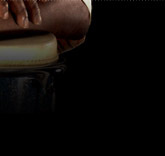 Welcome to the official website of Grammy-award winning percussionist and songwriter Ralph MacDonald. 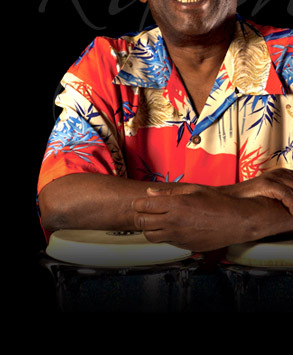 From his humble beginnings as the son of Caribbean immigrant parents MacDonald followed his family's musical heritage and, in the process, defined the the very nature of percussion in American music. Here you can keep up-to-date on the latest of Ralph's critically-acclaimed solo albums, his featured performances with other artists, and his tour dates with Jimmy Buffett. Ralph MacDonald uses Latin Percussion instruments, Yamaha Drums, Zildjian Cymbals and Vic Firth sticks. There are a lot of great tributes to Ralph out there including NBC Nightly News, The New York Times, Rolling Stone and more... click Read More for links. Viewing: Wednesday December 21st, 2011, From 3-8pm at Granby's Funeral Home, Bronx, NY. Service: Thursday December 22nd, 2011, 10:00 am at Abyssinian Baptist Church, New York, NY. It is with sadness that we announce the passing of Ralph MacDonald on the morning of December 18, 2011. He will be greatly missed. If you live in New England, be sure to check out Ralph performing April 2nd with Toph-E and the Pussycats in support of CT Farmland at the Fairfield Theatre Company. Check out the great article on Ralph and Robert's recent show in Antigua here! Check out a great new video interview with Ralph right here! Ralph's brand new CD, "Mixty Motions" is now available! The CD features 12 new songs and guest artists like Will Lee, Ashford and Simpson, and more! If you pre-ordered the CD, your CD was shipped on December 12th and should be arriving soon.